My regular dentist was out on an emergency and I had a cracked/dissolved filling that needed repair. My office arranged for me to see Dr. John Bacchetta at the Jefferson ave location. I am always on edge when I need my teeth worked and was anxious about seeing a new dentist. I had nothing to worry about! Dr. Bacchetta was kind, friendly, and immediately put me at ease. And most importantly, he did a perfect job numbing the area and the filling replacement was a breeze and pain free! Thank you so much WNY dental and Dr. Bacchetta - a top notch highly recommended gentle and compassionate dentist and practice. Grateful! Dr. Kachlan is an amazing dentist and one of the most caring doctors I have met. I have been his patient for six years and he has helped me through a myriad of dental problems. He is never too busy to explain options or answer questions. I simply cannot say enough about how special he is. I have sent friends to Dr. Kachlan and all of us agree!! I just want to send a sincere thank you to Dr. Newman (Root Canal Whisperer, lol). She is fabulous. She performed 3 root canals each on 2 of my teeth last year and she is doing another root canal today. She is very thorough and lets you know everything she is doing during the procedure. Thank you for trying to save these teeth of mine when I think they should be pulled. You are very patient with me and it is very appreciated. Thank you for all you do!!!! Marta always does a great job with our kids when they come in. She is very good with the kids and takes the time to teach them the things she discusses with them to take better care of their teeth. Today was my first time going to the Greece location with my children and I must say the experience was GREAT! Marta was so friendly and helpful and my children loved her! We will continue to go back and enjoy our great experience! Thank you Marta! by Kathy on My kids won’t go anywhere else! The staff is very friendly and it’s so easy to get an appointment. My daughters and I see Jeannine (hygienist) and we absolutely love her friendliness and how thorough she is. She always makes my kids smile and because of her gentleness, they’ve never been afraid to see the dentist. I wouldn’t go anywhere else! My hygienist jeannine made my cleaning such a wonderful experience! Even though i literally fear the dentist and had to have a "deep cleaning" she was gentle, nice and made me feel so comfortable! I am already scheduled to see her again and will be recommending her to all my family and friends! I’m not the easiest patient due to high anxiety regarding the dentist office. I will recommend this office to anyone I talk to who needs dental work done. Dr. Fallon was patient, kind, understanding as well as very thorough. I was in and out of my wisdom teeth extraction with no issues. Thank you again Dr. Fallon! by Harpreet on Marlyce Godoy\'s a life saver! This is my second time trying to submit a review, not sure what's going on! Hopefully, this time the review will post to the site. I am sad to say I had not been to the dentist in quite some time, and have grown to become nervous and somewhat anxious when it comes to dental work now. Naturally, I was apprehensive about my first appointment back after such an unhealthy hiatus. Well, Dental Hygienist Marlyce Godoy is exactly what I needed! First of all, she put me at such ease! Her knowledge and expertise is absolutely infectious! She turned me into a flosser! I had to have some additional work done, and her confidence and assurance made me confident and able to go through with the additional work without hesitation. Hygienists like Marlyce are just what the Doctor ordered for patients like myself. Her passion and commitment to her craft keeps us in check, and most definitely keeps us coming back. I am so thankful to have found your group and especially Marlyce, because I am now taking better care of my dental health because of her. Thank you! I cannot say enough nice things about Dental Hygienist Marlyce Godoy!! I have grown a bit of anxiety about dental work as an adult and naturally was a bit nervous about my appointment. Thankfully though, Marlyce was my hygienist. Her enthusiasm and commitment to her profession put me at complete ease and made the experience exceed my expectations! I had to have some additional work done and she ensured me that I would be in good hands. Her reassurance helped me tremendously and I was able to get through the additional work without hiccup! It’s professionals like Marlyce that have a true passion for what they do that bring apprehensive patients like myself coming back for our appointments and maintaining our health. Thank you Marlyce! by Karen on Great Experience! I have a great fear of dentists which stems from some previous bad experiences at other dental offices. I have just started coming to Western New York Dental on Jefferson Road and today marks my third visit here. I walked in today for my cleaning without hesitate or hyperventilating! Lori Watson is truly amazing! She explained everything step by step and did everything in her power to make sure I was comfortable and relaxed! The dentist and the office team are all equally at nice make you feel relaxed the minute you walk through their doors. Best experience ever with a dentist office! I have just had my second Root Canal procedure completed by by Dr. Newman at the Depew Office. I have to say that Dr. Newman is a consummate professional, she takes a great deal of time to not only explain the expected procedure before actually starting it but she keeps you very well informed throughout the entire process. She is extraordinarily good at what she does and I have to say that the procedure after the administration of the numbing agent was completely pain free. Even the evening of the procedure my tooth had only some minor sensitivity that required no pain medication whatsoever. For anyone that may have heard any bad stories about root canals, I can attest that Dr. Newman will most definitely prove those stories to be false and you will quickly realize that you are in outstanding hands as one of her patients!!! Lori Watson is a very professional dental hygienist who does great work. I've been going to this office for several years. She is thorough, even takes your blood pressure and heart rate at each visit. I highly recommend her. by Tracy on Great experience!!! I had an appointment scheduled for a cavity to be filed, when I got to the office I found out that my appointment needed to be rescheduled due to the dentist having a baby. Kate was so kind to be proactive and checked to see if another dentist had time to see me. Dr. Campbell and his amazing assistant Michele took great care of me. I really appreciate them squeezing me in so I didn't have to wait a month. Michele held my hand during my shot and kept me company. Thank you for all of your help and making the experience pain free. 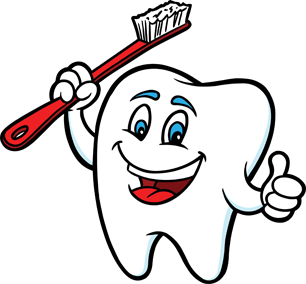 I came in today 5/23/17 at 10am for my dental cleaning and as usual my hygentist,Kim Kaufmann was friendly, efficient and professional. I am very pleased with Kim. Kim is a definite asset to wny dental. I wish there were a lot more people like her. Thankyou. My front tooth chipped yesterday. I called and was given an appointment with Dr. K. Within fifteen minutes, he had restored my tooth to its original (probably better) condition and color. I am so-o-o happy with the results. Thank you. My young daughter has always been terrified to see a dentist, which is why we never got around to going until she was 4. We went with WNYDental and could not be more happy! The hygienist, Jennifer was absolutely amazing!! My daughter brought her doll and Jennifer even cleaned dolly's teeth! Jennifer was VERY patient and made my daughter feel so comfortable and relaxed. Dr. Embury was also super! She too, was very patient, and was outstanding with my daughter. 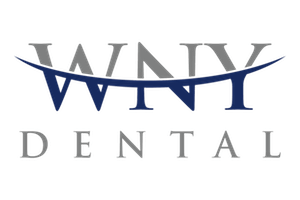 If you parents are thinking those huge places like Winning Smiles is the only place to take your children (where its near impossible to get an accommodating appointment), think again- WNYDental is a far better option in my opinion! My wife and I are in our 60's and have seen many different Dentist that were not to kind until we found Dr hutter; when he moved to Holland we were worried about a new dentist. Since he was always amazing. Went for our checkups and met Dr Embury! She was an amazing dr and person. We miss Hutter but we are looking forward to our next visit now! Thank you Dr Embury for being so nice and easing our nervousness! Every single person I had interaction with was not only professional... but very friendly & kind. Thank you for making my dentist appointment feel like visiting a friend! Dr. Katz, and his staff are awesome! The front office called me back at 8:00 sharp on Monday morning, got me in that day. Roxanne and Dr Katz took me at my scheduled time ( actually about 15 early) and they repaired a broken tooth with NO pain as always! It's your loss if you don't have these people as your dental experts, they are absolutely fantastic! This is the 2nd tooth I've had extracted by Dr. Chance. I would have waited a month for her to see me...luckily I was able to get fit into a cancellation slot. She's knowledgeable, compassionate and makes the patient feel comfortable. by Penni on Love this place! I love this place! From the awesome receptionists, to the great dental assistants, to the phenomenal dentists. Everyone here is wonderful. They are personable and make the process enjoyable. I recommend this place to anyone and everyone. I've been with Dr. Lynch since the 70's and I can tell you that he is the best Dentist I've ever gone to. He's very caring and does his very best to make your experience a good one, even though I hate :) going to dentists. Rachel and Jackie at the front desk are amazing! They went out of their way to accommodate my difficult circumstances during the holiday season. They made phone calls and spoke with the doctors to do everything they could to help. They were so kind, caring, understanding and sympathetic. These ladies deserve to be recognized for going above and beyond in their jobs. I cannot thank them enough! Barb B. is my Dental Hygienist and I love her she is awesome. She is gentle when she cleans my teeth, I always look forward to seeing her for my cleanings. DInna was awesome...great dental hygienist..was very good at her job. She is professional, personable, and makes you feel comfortable! I went to Dr. Sweeney as an emergency patient as I was visiting the area and was in terrible pain. She not only saw me the day I called, but she and the entire staff couldn't have been more caring and professional. Dr. Sweeney took her time asking many questions and very gently examined me before correctly diagnosing the problem. If I didn't live 300 miles away, I would switch to her in a heartbeat. Been going here since is was three years old, great place, nice environment, great staff, gotten my teeth cleaned here along with my family for a long time. I feel I get the best care from Diana and Bob. I had a root canal performed by Dr. Sealey. He did a great job, and I was very please with his methods and results. Wile it took 3 visits, it was well worth it since it has not been over a month and I have had no complications. Highly recommended. The service and attention is always great, especially now that i am pregnant and i still feel how they took care of me during my appointment. The entire team at Dr. Ehlers office is always great! The Dr. & Her assistant were great. We laughed the entire time, well as much as I could with tools being in my mouth, haha. They will definitely be my choice if I ever need another root canal. The dr and assistants were wonderful and understanding. The doctor and hygienist were great and friendly! I will be back! The dentist and dental hygienist both provided exceptional service. The hygienist had a very pleasant and 'job-loving' aura about her that was somewhat contagious. All hygienists should take a lesson from her. Thank you! The dental hygienist was excellent as well. Would highly recommend both. The dental hygienist was Most professional. The dental hygentist was wonderful. I was extremely nervous and anxious she was very gentle and very aware of my concerns. Dr Hariton was very helpful and aware of my concerns I will be returning to get my teeth repaired. Thanks for your professional, friendly dental care. It has been a long search to find a dentist that I am comfortable with and I have finally found one! Thank you Steve. My tooth looks and feels wonderful. I really appreciate you taking care of it. Thank you for all you do for us, it is appreciated. Dr. Lippa is always courteous and professional, but with a nice touch of personal concern for me and my family. I would not want anyone else as my dentist. Tina is very professional and caring. She gives me personal care and always treats me as though I was her only patient. She is a gem. She keeps me informed as to what she is doing and lets me know what I should be doing to improve my teeth. would definitely recommend - and have already recommended - wny dental to friends, family and co-workers! Wonderful place. Been coming here for years. Wouldn't consider going anywhere else! Thanks Western New York Dental! Wonderful hygienist, I like that I seem to get the same one every time. Everyone listened to my concerns. I moved out of the area, but still come to this office because of the wonderful service. 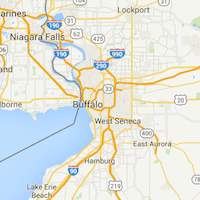 WNY Dental provided great service with the utmost professionalism. Very happy. We always have an excellent experience! Wouldn't go anywhere else!! Was very nervous for my procedure but Dr. Newman and her staff were so friendly and relaxing, it was a great experience. You're my new dental practice & I will be referring others to you. Excellent treatment. Your staff was very pleasant and courteous, and I immediately really liked everyone! I loved how clean the office was.